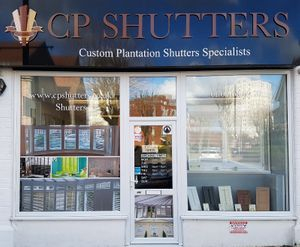 At CP Shutters we have been established since 2007 and have built over 9000 Interior Wooden Shutters to date. We are very proud of our number one reputation in Essex and have spent many years building relationships with our customers. If you want experience and quality, look no further than CP Shutters, our customer reviews speak for themselves!! Shutters are fast becoming the window dressing of choice in the UK. In truth, Plantation Shutters have only become popular over the past 4 to 5 years. We have seen this first hand at CP Shutters. Eleven years ago we began trading, based in Gidea Park, Essex, we found a large percentage of our Business was situated throughout London. Over time, the word has spread Nationwide, making Shutters the most in-demand product for windows and doors across the whole of the UK. The success of Shutters is not purely down to their aesthetics, there are many practical benefits to Shutters that will cement them as the number one choice for decades to come. Interior Shutters are a fantastic choice for those who wish to maximise privacy without sacrificing daylight. The Louvres have the versatility to be angled so you can see outside, whilst prying eyes cannot see back inside. This is of course a fantastic feature if you live on a busy street. No other window dressing can give you the scope of light control that Shutters can. Bespoke Interior Shutters give you the versatility to allow as much, or indeed as little light into the room as you wish. 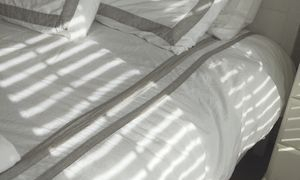 Not only this, but Shutter owners have the ability to close certain sections of their window or door, meaning that if the sun is glaring on your TV, or shining on the book you are reading, you can shut the sunlight out of one section, yet it still flood the room through the rest of your window. Shutters are an exceptionally great way of regulating the temperature of your home. 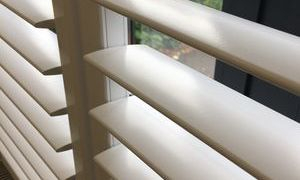 During summer time, Interior Shutter owners can open their windows and close their Shutters, using the louvres to allow in a cooling breeze, whilst blocking the heat of the sun with the body of the Shutter itself. In winter time Shutters provide excellent insulation, helping to hold heat in your property, subsequently reducing your energy bills and helping you maintain a greener home. Unfortunately burglary is a crime that effects some areas of Essex. Many homeowners are constantly looking for deterrents such as alarms, guard dogs and CCTV. 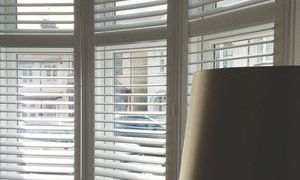 Another measure people are taking is the installation of Bespoke Interior Plantation Shutters. One of their huge benefits is making it difficult to work out if someone is home. A curtain or blind is only ever drawn or open, whereas a Shutter can be set at a variety of angles. Coupled with lighting set on timers, homeowners who go on holiday can easily make it look like they are home to would be thieves.